It was a short second week at the Capitol, with state offices closed Monday in observance of the Martin Luther King, Jr. holiday, and no committee meetings on Friday. This week for our video update, Rep. Charles Blake met us at our office. 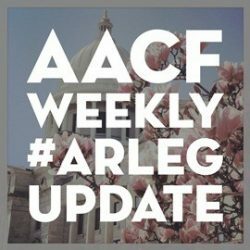 Stay tuned each week for videos with legislators, AACF policy staff and other key #ARleg players. TAX CUTS: Many are waiting on Gov. Asa Hutchinson’s income tax cut proposal, which is expected to have some changes since the last time we provided a thorough analysis. A number of activities depend upon the proposal’s release, especially around other tax and budget issues. 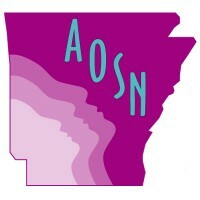 We will provide an updated breakdown of how the cuts will affect Arkansans when the proposal is made available. 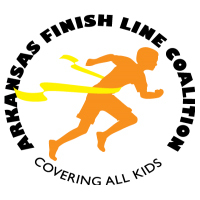 JUVENILE JUSTICE REFORM: As part of the Arkansas Republican Women’s Legislative Caucus, Sen. Missy Irvin filed Senate Bill 152, An Act Restoring Arkansas Families, which contains significant reforms to the state’s juvenile justice system. The bill was referred to the Senate Judiciary Committee. 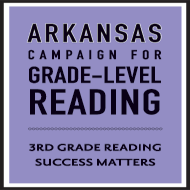 EDUCATION: Sen. Jane English introduced Senate Bill 153, To Require School-Level Improvement, Professional Development, Curriculum, and Graduate Studies Plans to be in Accordance with the Science of Reading. The bill was referred to the Senate Education Committee. Learn more about the Science of Reading here. 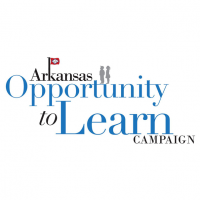 And Rep. Mary Bentley introduced House Bill 1225, To Encourage Child Care Facility Entrepreneurship in Arkansas; and Concerning the Duties of the Division of Child Care and Early Childhood Education Within the Department of Human Services. The bill was referred to the House Committee on Aging, Children and Youth, Legislative & Military Affairs. CONSTITUTIONAL CONVENTION: Sen. Gary Stubblefield sponsored Senate Joint Resolution 3, Applying to the United States Congress to Call a Convention for Proposing Amendments Pursuant to Article V of the United States Constitution. If passed, SJ3 would add Arkansas to a list of states voting for an Article V Constitutional Convention of the United States. If three-fourths of state governments call for a convention, delegates from each state would be sent to propose amendments to the U.S. Constitution. The proposed amendments then would be sent back to the states to vote to ratify them. A supermajority of states would have to vote to ratify the proposed amendments for them to become part of the U.S. Constitution. The bill was returned by the Senate State Agencies & Governmental Affairs Committee to the bill sponsor for an amendment. HEALTH: Wednesday Rep. Michelle Gray filed House Bill 1226, Concerning the Pursuit of a National Cancer Institute-Designated Cancer Center at the Winthrop P. Rockefeller Cancer Institute at the University of Arkansas for Medical Sciences. The bill was referred to the House Committee on Public Health, Welfare and Labor Committee. As the session progresses, we will be tracking bills that could affect the welfare of children and low-income Arkansas families. Keep an eye on our blog for the latest news and updates, and follow us on Facebook and Twitter for additional thoughts and analysis.